What happens to us when we lose sight of our dreams? Tonight, I watched the 60th Annual Grammy Awards and shortly after Kesha’s performance of “Praying”, there was a young lady that came on after her that spoke to the idea of being an immigrant in a country where the current political debate revolves around whether she belongs here or not. I can’t think of the young lady’s name–as I would have to go back and rewind my DVR to find that exact moment in the show–but she said something that prompted this blog post. She spoke about “chasing the American Dream”. That got me to thinking about the feeling of the “dream”, and for a moment in my mind I explored my own dreams and goals and sat in the excitement of “what if”. The question of, “What will it feel like when I finally do, this….”–whatever this is. You can fill in your own goals here. But, what about this dream that we all have? And have we allowed the excitement of the pursuit of it escape us? The dream that so many of us have in our hearts and minds, the dream of being free, the dream of being successful, the dream of being comfortable and free of worry. This woman that was on stage at the Grammy’s in New York city, was an immigrant. Imagine that! She was actually LIVING the American Dream that so many people like her aspire to achieve one day. Maybe we’ve forgot what it means to dream again. I mean after all, in the news as of late all we hear are political pundits making references to “the Dreamers”. They’re called that for a reason I suppose and rightfully so. But what about it though? Have you forgotten what it means to Dream? The feeling of hope that comes from being in pursuit of something great, something unreal. Hope and faith in that which hasn’t been seen or realized in the physical, but that which exists in your heart and your mind. And for you, it’s as real to you as is the light of day. Maybe we should try to revisit what it is that we really yearn for when we wake up in the morning because it’s so easy to forget the excitement of wanting more. The idea that every day you wake you have an opportunity to get closer to financial freedom, or financial independence, or a raise or a pay bump in your career, or love, or the perfect weight if you so desire, for many it’s all an elusive idea. But do you remember what that felt like? Like, the excitement of anticipation and expectation? Because if we’re being honest here, EVERYTHING we strive for starts with the expectation in our minds that it’s achievable! If you’ve forgotten what that feels like, this blog post is a reminder to revisit and rethink what it means to dream again, and what it means to be excited about life and it’s possibilities. Some of you have lost your zeal for life and you’re allowing your environment and your circumstances to keep you draped in mediocrity. You think, or at least for the moment, you believe there isn’t a way out. You feel hopeless or perhaps you just don’t see how you’re going to accomplish and do all of the things that you want to do. It’s a New Year and if you’re reading this post, obviously there IS something to be hopeful for as the start of a New Year marks a new Year of opportunities. I mean, you made it to another year! But with another year comes our continued pursuit of our goals, dreams, and desires and while that excitement is ripe on January 1st, life has it’s way of stripping us of that excitement as the year goes on. 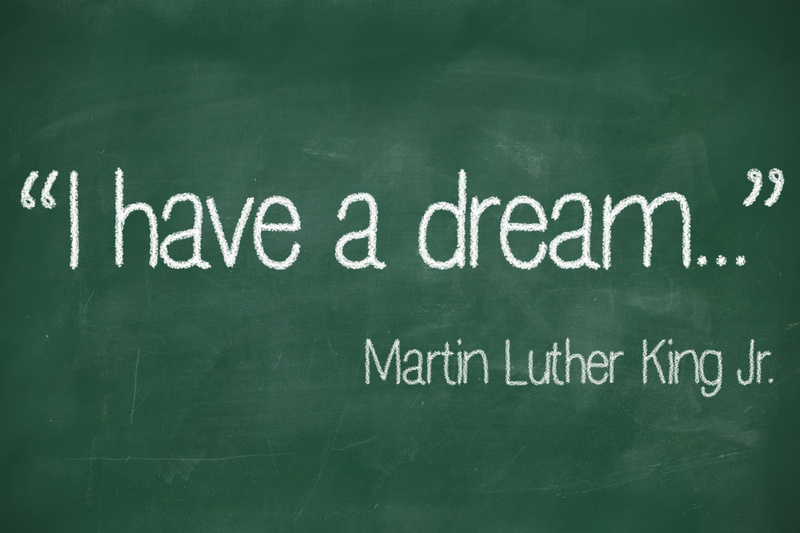 My question to you is this… Have you forgotten what it means to dream? 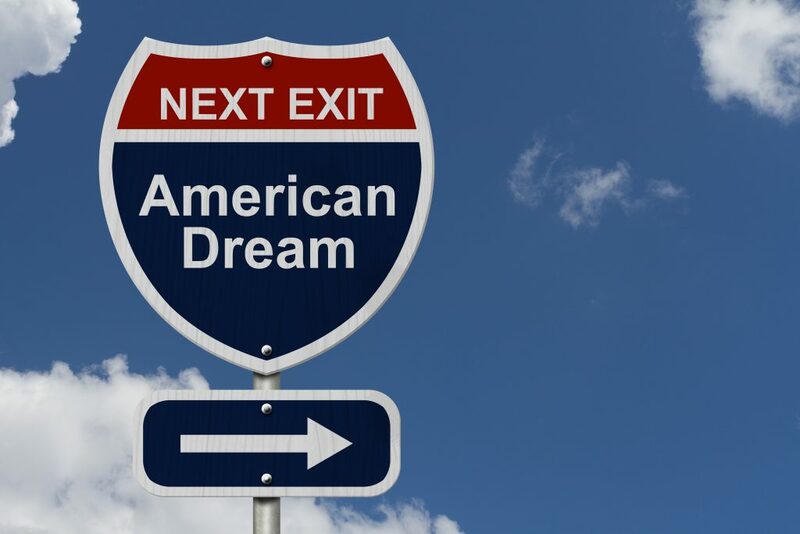 Is the American Dream even relative anymore? Is it even important? Is it achievable? Do you still believe that you can create the unthinkable and do the unimaginable? I’m sure you have a dream, or had a dream–past tense. Have you forgotten what you truly set out to do in the beginning? Have you forgotten why you started? Those goals you wrote down? That project, that home you wanted, that car, that career? What you’ve been wanting to do for years, all that has eluded your soul that sets it on fire? I just think to myself, there are thousands of people that would die and do die to get into this country to take advantage of opportunities that most of us take for granted. I’ve been fortunate to have been born in this country at such an amazing time in history. I came up in the 80’s and 90’s when the culture of hip-hop was booming in it’s infancy. I came up during a time when economic opportunities for blacks were growing coming out of a period when most of our grandparents fought and died for our civil rights. I was educated here, I grew up in a middle class neighborhood with two parents that both worked. I served my country in the U.S. Military, I was honorably discharged, I went on to pursue several degrees, and made it to the age of 37 gainfully employed, a father, and a career man. How could I complain and not be grateful for what I’ve been afforded in my life up to this point, and the truth is that I’m just getting started. I honestly don’t feel like I’ve arrived or even scratched the surface of what I can be in life, but sometimes I too forget what’s possible and have to be reminded of WHO I AM. I too forget to feel my dreams and resort to “ordinary thoughts”. Listen, my hope is that I can hold onto that excitement for as long as I live and always have that belief of hope and excitement of what could be and I wish the same for you! It’s such a great feeling but you have to take time to get in touch with it, especially during those times when the only thing you can think of are the problems and challenges you experience day-in, and day-out. Go back and sit with yourself and revisit what excites you. Ask yourself, If you could wake up and have anything you wanted tomorrow, what would it be? What would that feel like? Create that feeling and create it often. It may be the only thing that keeps you going during the tough times.